Fast, compact, and versatile fixtures perfect for the full gamut of entertainment lighting applications. The SolaWash 19 uses 19 RGBW LEDs with additional deep hues from High End Systems' Indigo Highlighters. 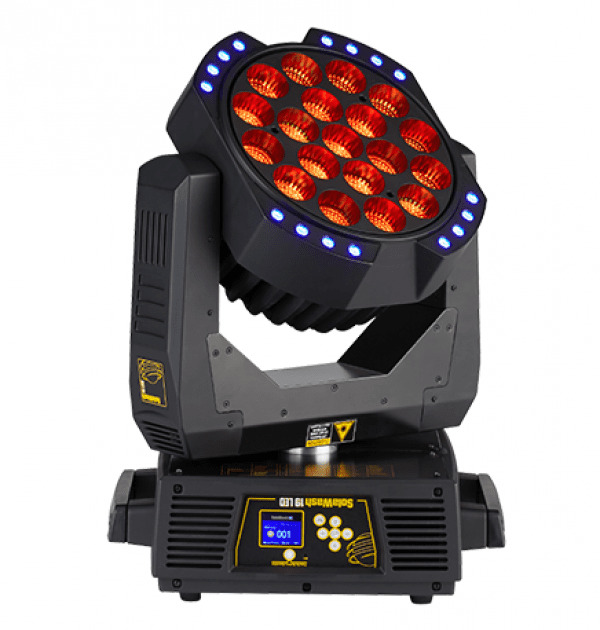 The result is a bright, fast, moving wash light perfect for any show. HES SolaWash 19's feature built-in dynamic patterns and lenses, a 12°-65° zoom, variable CTO and multiple fixture modes. The dynamic patterns offer an intuitive way of creatively enhancing your show with advanced mapping and zone protocols for maximum flexibility, or take complete control with full pixel mapped control.